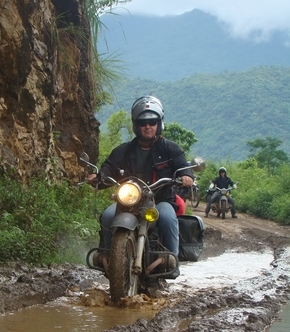 Now we are back in Germany from our Ural-tour in northern Vietnam. It's a pity that we couldn't meet you in person. We were on the road with our guide Hai and mechanic Tap. They did a great job. We just want to thank you and your team for this beautiful trip. The tour was perfect and well organized, from the first meating in Hanoi until the last day in Hanoi. Some day I will repeat it with a tour from Hanoi to the South. If its ok for you I will advertise your company in the German Ural community. I think you don't have many customers from Germany and maybe by this way you will find some new customers who also want to make this extraordinary tour with this special bike. Please don't hesitate to ask me for helping you with German customers. So thank you again, and please also give our thanks to all the team.